Wirehouse UBS is facing a lawsuit from the wife of a deceased UBS advisor that claims the firm wrongfully withheld survivor benefits from her, according to news reports. In a suit filed in New York federal court earlier this week, Gina Delia is suing UBS, one of its benefit plans and the plan administrator, for some of the $684,606 allegedly owed to her in survivor benefits compensation, FA-IQ sister publication FundFire writes. UBS advisors are eligible for the survivor benefit plan when they generate more than $500,000 in 12-month production and have been with the firm for three years, according to the publication. But advisors also need to enroll in the plan during an open enrollment period, and failing to do so means they “would not have a future opportunity to participate,” FundFire writes, citing the lawsuit. 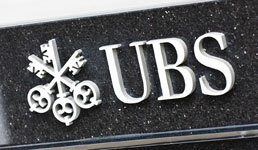 Denis Delia came to UBS in April 2013, according to the suit and Finra records cited by the publication. At the time, he managed $130 million and had gross annual production of more than $500,000, although he didn’t specify the amount, FundFire writes, citing the lawsuit. UBS claims they sent Denis Delia four emails in February and March 2016 alerting him to enroll in the plan, but Gina Delia says in her suit her husband never received the emails, according to the publication. After her husband died in June 2018, Gina Delia requested the survivor benefits be paid to her, but UBS and the plan administrator denied her request, claiming Denis Delia hadn’t enrolled in the plan as required, FundFire writes, citing the suit. The plan administrator denied her appeal in August, and Gina Delia says in her suit that it “breached his fiduciary duty by ignoring the plain language of the Plan requiring that a newly eligible employee be notified and afforded the opportunity to enroll, instead holding that an alleged premature and defective notification could properly substitute for the mandated actual notice and opportunity to enroll after becoming eligible,” according to FundFire. Gina Delia first filed an arbitration claim with Finra over the benefits in October, Neil Sussman of Sussman & Frankel, Gina Delia’s attorney, tells the publication. But Finra agreed to decline jurisdiction as requested by UBS lawyers, according to FundFire. A spokesman for UBS declined comment to the publication.